“ACGHK 2015” was completed with success during 24th -28th July. 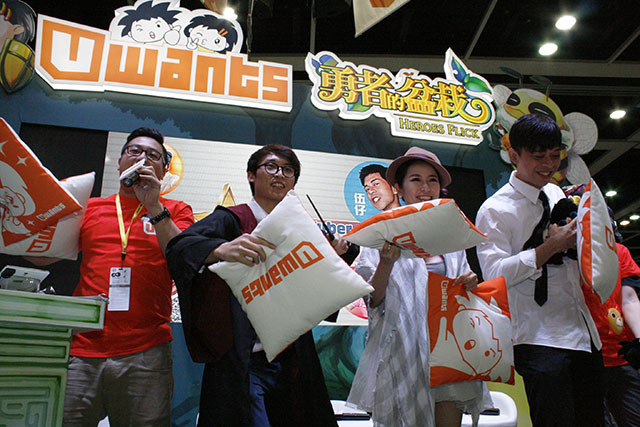 Being the No.1 game portal in Hong Kong, Uwants partnered with Heroes Flick to engage audiences at on-site booth. Apart from the recruitment for “Uwants TV Anchor Scheme”, many guests were invited to interact with fans and liven up the atmosphere, including the popular singer Louis Cheung, famous YouTubers Smiling Boris, Fiveson, Sea Monster,Jellybaby and popular idols Girls’ Sample and Lilacle. Uwants’ booth brought lots of fun to the fans in the 5 days!